The 2010 edition of the BUFVC Handbook is now available. 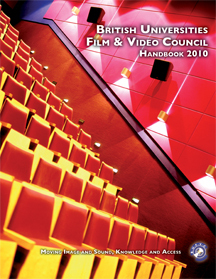 6th edition, edited by Cathy Grant and Sergio Angelini. One free copy will go to all institutions currently members of the BUFVC and additional copies can also be purchased by members for £15.99 (non member price £19.99).